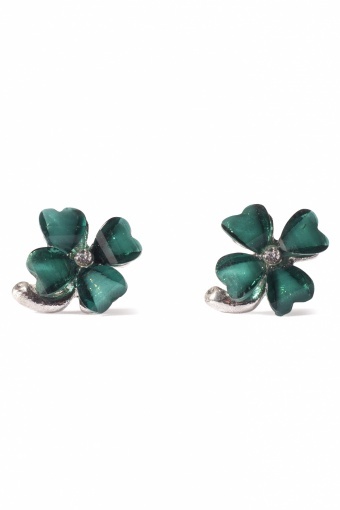 Lucky Clover earrings by From Paris With Love! 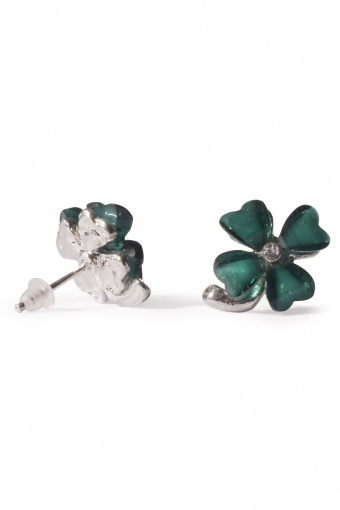 Get lucky with this four leaf clover earpins. Four curved green leafs with a little rhinestone placed in the center and a silver coloured metal stem (nickelfree).